Parties, Coachella, and Chris Brown: seems like an obvious recipe for a disaster. 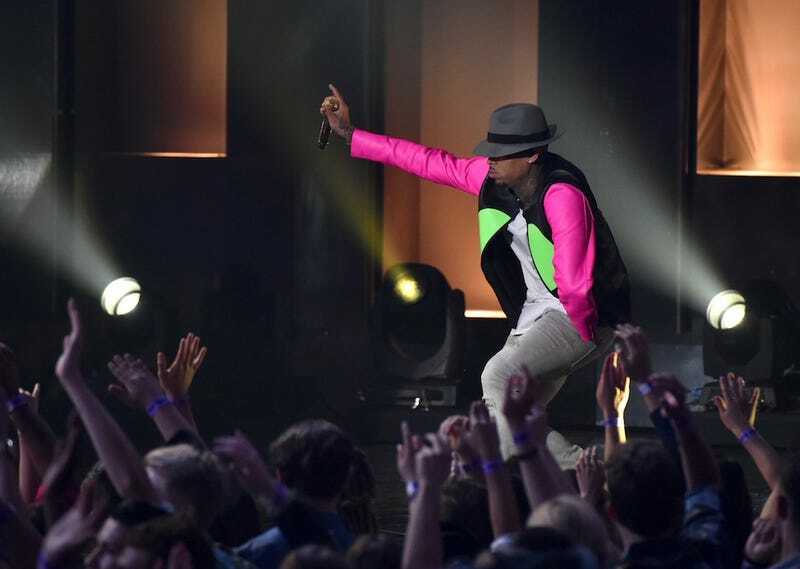 More specifically: the disaster that Chris Brown was wearing, which, if my circa third grade brain is correct, looks like something my 1990-ish male classmates would have worn while interrupting a perfectly good game of recess hopscotch in order to prove playground dominance. Btw, peep the selfie stick documenting Brown’s every spastic move, which, as we previously reported, are supposedly banned from Coachella and other music festivals. C’est la narcissists.